“In that video, Obama urged Nigerians to open the ‘next chapter ’ by their votes. 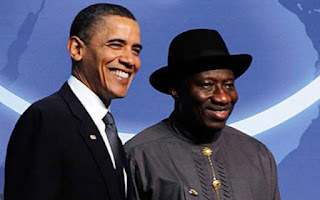 Jonathan also did not spare Kerry, whom he said arrived in Nigeria, on Obama’s instructions , to protest the postponement of the 2015 election on January 25, 2015. He stated, “How can the US Secretary of State know what is more important for Nigeria than Nigeria’s own government? How could they have expected us to conduct elections when Boko Haram controlled part of the North- East and were killing and maiming Nigerians?